You can always rely on YouTube channel Garage 54 to answer those burning questions you’re simply not mad enough to have asked. What happens when you fill an old Lada with five tonnes of concrete, for example, or what happens when you modify your exhaust with rubber chickens? One of the channel’s regular running themes features bizarre alternatives for wheels and tyres. We’ve seen donk-sized wheels made from shoes, a tyre made from electrical tape and another where a tyre was substituted for a ring of Coke bottles and tape. Now, though, it’s the turn of a paper wheel. To be more specific, Garage 54 glued 10,000 pieces of A4 together and compressed them using a Nissan RB20 engine and some other heavyweight metal bits as a collective paperweight. 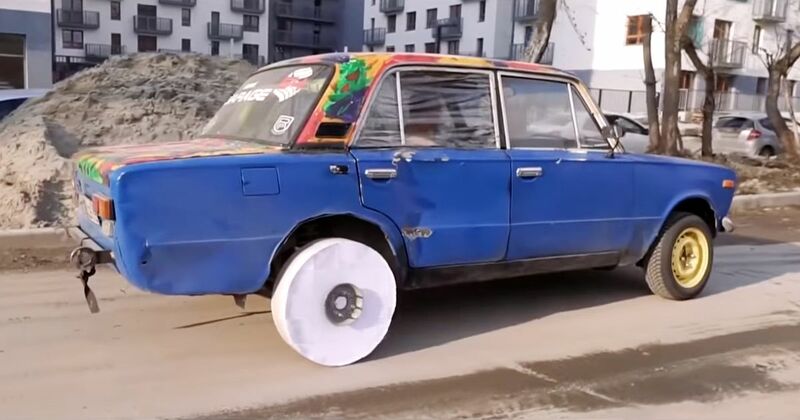 Then, after it had fully set, they cut a wheel-shaped cylinder out of the block and drilled holes to attach it to the test Lada’s hub. Amazingly, the video shows the wheel holding together well, even under sustained abuse. 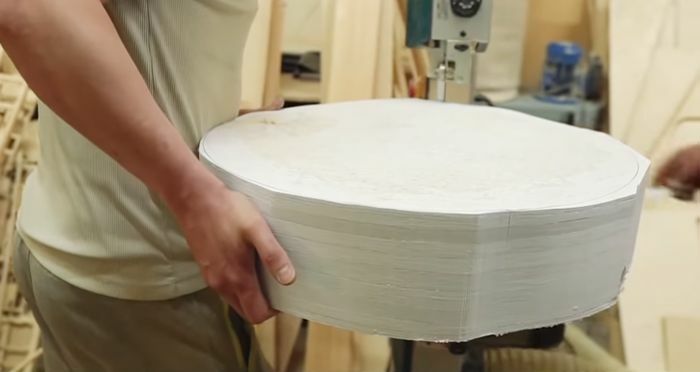 The structure clearly softens and spreads (a lot), but it doesn’t shred or tear the way you’d expect… until the host really starts to overdo it. All things considered, we think we’ll stick to rubber.